With two die in play, seven is the most common combination. 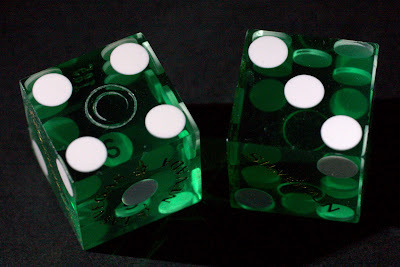 The probability that a seven comes come up is one out of six with fair dice. Thus the role is know as a "natural". Canon 40D, 1/60 sec at f/7.1, ISO 800, 50mm.